Vacuuming may not be your favorite household chore, and it can become even more bothersome when it starts making a really loud noise. A loud vacuum noise can have one of several possible problems. Most problems are easily fixed. In some cases, you might have to take your vacuum cleaner to the repair shop. An exceedingly loud vacuum cleaner usually means trouble. If your vacuum has suddenly become very loud, check the filter, as it may be dirty. When the filters on a vacuum become excessively dirty, the vacuum may start running louder because it is working hard to create suction. If your filters are dirty, your vacuum is likely not suctioning appropriately, either. To fix this problem, simply remove the filters in your vacuum, rid them of the dust and debris and rinse them out with warm water. Replace the filters once they are dry, and your vacuum should run at its normal sound level. Typically, vacuum cleaners have one or two filters. One filter is near the debris bag on standard vacuums. The other filter may be a HEPA filter. Clogs are often the culprit when your vacuum cleaner is making a lot of noise. While vacuuming, you may have sucked up an object -- a button or a small toy, for example. Additionally, the clog may be making the vacuum work harder. Check for a clog in the tubes of your vacuum. If you find one, remove it by hand. If it's a tough clog, try removing it with a knitting needle or stick. If the clog is bad, take the vacuum cleaner to the repair shop. A broken brush bearing may be the problem. When a brush bearing breaks, the vacuum cleaner gets loud and starts to vibrate. To remedy the problem, remove the brush and replace it. If you're not comfortable making the repair yourself, take the vacuum cleaner to the repair shop. The fan in the motor of your vacuum may be broken, causing the vacuum to run louder than normal. 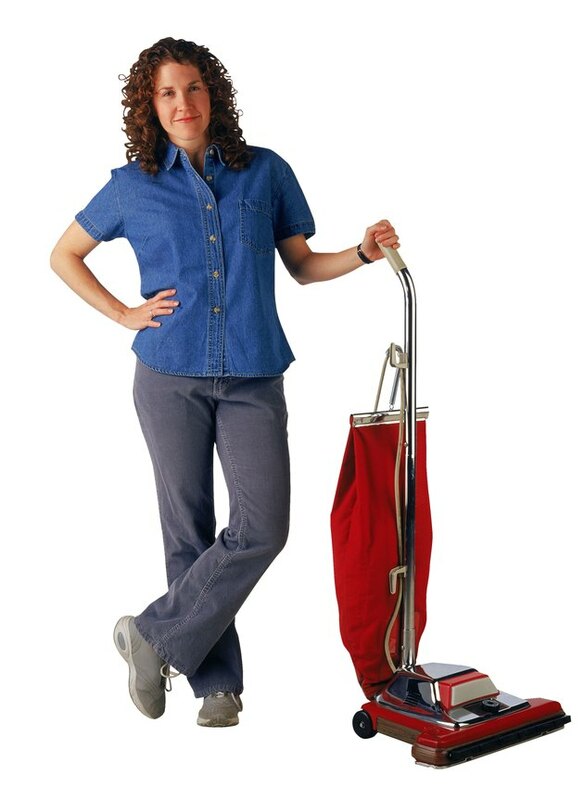 When dirt runs through the motor of the vacuum, it can collect on the fan, causing it to break. If the fan in your vacuum motor is broken, it will need to be replaced. Again, you can do this repair yourself. But if you don't feel comfortable making the repair, take the vacuum cleaner to the repair shop.